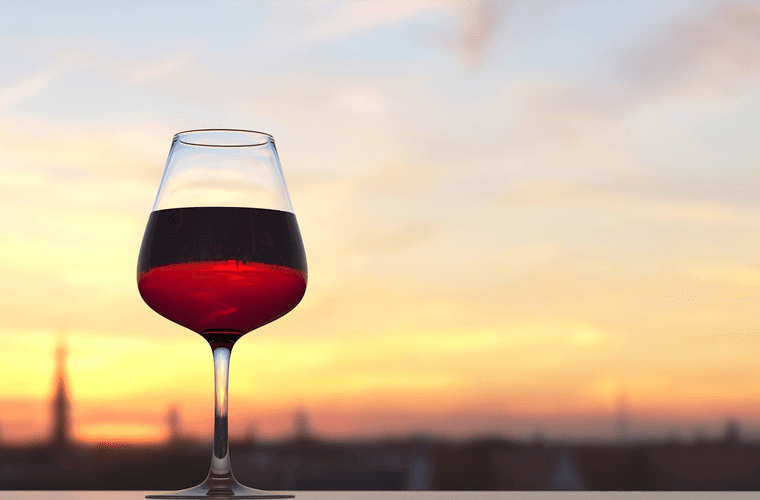 With the motto “From the young and reckless, to the young and reckless”, you already feel that you’re picking the right wine event to visit while you’re traveling. If you’re looking to add a gastro event to your sightseeing schedule on the last September weekend (aka the end of the summer season), you’ve just found the place to go. Junibor is a group of young Hungarian winemakers, brothers in arms on the super competitive wine market whose goal it is to cultivate a new, youthful and refined wine culture. The association celebrates its tenth anniversary this year, and through this festival you can also be part of the fun. Programs include tastings, you can also learn about wine with courses on the basics and beyond, and buy the best Hungarian varieties from young experts. The festival features 40 winemakers from all around the country’s wine-growing regions. Hungarian wine doesn’t need an introduction – but it’s surely a great idea even for gastro-loving Hungarians to look beyond Tokaji and Egri Bikavér, the two best known kinds. As I’m sure you’re looking to do sightseeing too, you’ll love the fact that the venue of the festival is a major sight in the city in its own right. The venue is the heart of downtown, right by St. Stephen’s Basilica, which is officially the tallest building in the city, along with the Parliament. Their height of 96 meters commemorates 896, when the Hungarian tribes first settled in the Carpathian basin. And its history (entwined in that of the square around it) is just unbelievable. In 1838, a colossal flood inundated the city. St. Stephen’s square (which did not yet have the name at that point) turned out to be a natural “safe spot” – it was higher than its surroundings, and this way provided shelter for hundreds of locals. Survivors then, out of gratitude, made donations to make the construction of a new church possible. 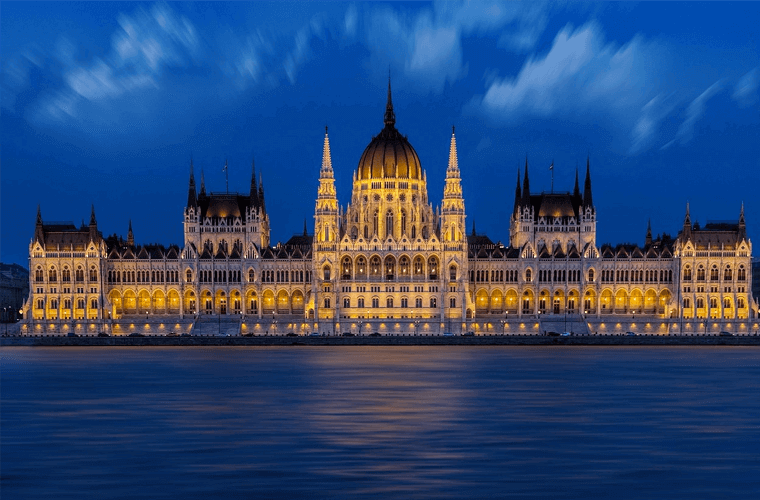 Begun in 1846, the construction was stalled as early as 1848, when a revolution against the Habsburg rule over Hungary broke out, lasting over a year. But it didn’t get any easier in peacetime either – the dome collapsed in 1868, so the building had to be redesigned and would only open in 1905 – almost 60 years after they began work. Good work takes time, as the Hungarian proverb goes. Emperor Franz Joseph (who would start the First World War in a few years) attended the opening ceremony, and the church was named after the first Hungarian king, St. Stephen (Remember 896, when Hungarians came to present-day Hungary? He was the great-grandson of those chiefs, crowned as a Christian king in 1000). Stephen’s right hand, supposedly chopped off after his death is kept as a relic in the Basilica to this day, known as the “holy right”. Just as the “holy left” – Ferenc Puskás, Hungary’s greatest ever football player, who could only dribble with his left foot, was buried in the cathedral a few years ago. Few tourists realize that the best part of the Basilica is at the very top – you can climb all the way up and get the best view of the city from the dome. Here you can look around and pat yourself on the shoulder for having read more on the Basilica’s history than anyone around you. But it was worth it, right? Our expert tip for a perfect day on this late September weekend? Stroll around to try great wine, even attend a workshop if you want to find out more about wine culture Hungary. Be sure to visit the Basilica (free entrance, donations accepted), and go all the way to the top (500 Forint extra) to get an amazing view of the downtown. 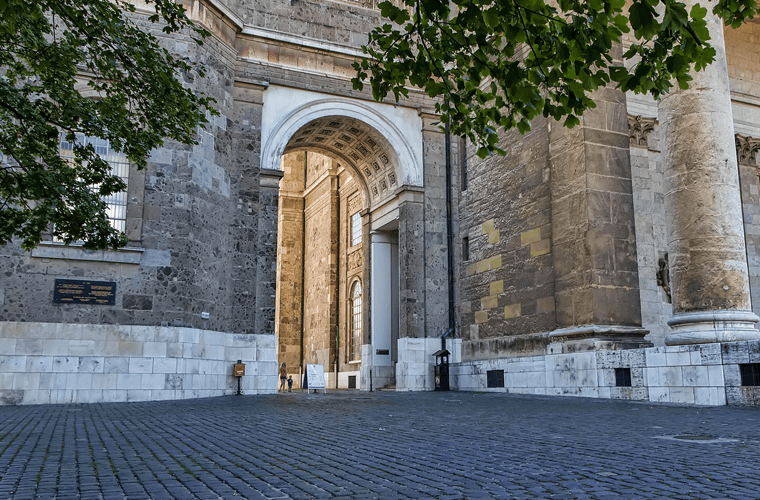 Then you can walk over to the Parliament, the Shoes on the Danube Promenade, or cross the Danube over to Buda to take a walk up to the Castle District. With such a central location, all the other sights are still at hand!